I love these flexible cutting mats! 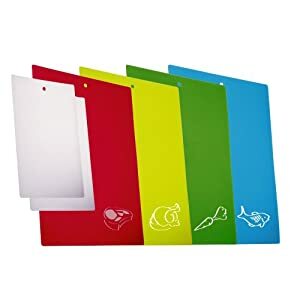 They're color coded so you don't have to use the same cutting board for your veggies and meats. They're safe in the dishwasher, yea! They can just be rolled up for storage if you choose. Is it time to replace your old worn out cutting boards? Think about a new idea like these instead.